Today is the day – kvh. creative is LIVE! After about a month or so of dreaming, brainstorming, strategizing, future planning, customizing, designing, writing, and finally…LAUNCHING. As many of you already know, kvh. creative has been such a work in progress, a labor of love, and the ultimate DIY project for about the last year or so. I’ve loved every minute of it – even the mind-boggling moments that ultimately lead to a breakthrough. kvh. creative LLC came into existence in October of 2016 and God-willing, has had a pretty solid first 11 months. I’d been running it out of my original blog/website – kaitlynhiltz.com (which also just got a face lift!) and the spare bedroom-turned-office of our home. I knew that to continue heading in the direction I wanted, things needed a little bit of a shake up. When I decided to do a rebrand slash separation of my personal + business websites, I had 3 primary goals. It was like one day I looked at my old site and thought to myself, “Wow, there’s a lot of stuff going on here. How does anyone ever quickly grasp what it is I do & offer?” Ahemm, that’s a major problem in digital media/marketing. My solution to clarity & cohesion was creating a second website, solely for kvh. creative that remains focused on helping other creatives achieve their brand & business goals through communications. Similar to goal #1, I wanted each website to have a sort of calming, timeless feel, with lots of white space to represent the ‘margin’ I hope to create within my own, off-the-devices life. It’s a lot of work to rebrand, so I didn’t want to find myself in the same position a year from now. I scoured for themes, designs, and inspiration that would help me achieve this lasting principle. Despite the concepts I know in theory about marketing and communications, I often found myself writing about whatever I wanted to, whenever I wanted to. That’s great if your goal is simply to blog and express yourself. Not so great if your goal is to grow a business with a targeted audience and specific list of products/services. Just like I’d recommend to any client, I’m now committed to keeping every touch-point and piece of my ‘brand’ intentional and value-driven for my readers and future clients. This included the revision of new branding, resources, new blog categories, and a new vision for future kvh. digital products. In terms of overall style & theme, I went for a mix of: natural, glam, adventurous, tropical, minimalist and refined. Which, hopefully, is clearly represented in my branding and visuals. Although I personally did the bulk of the work, I couldn’t have done it without the amazing teams over at ShowIt (the new website platform I just switched to!) and Jen & Jeff of Tonic Site Shop. Just wow. Big, big love & gratitude. Additionally, I enlisted the help of the talented, China Frost of Olive Paper Co., (whose hand-lettering I’ve been eyeing for MONTHS) to create the new kvh. logo. My hubby, fam & close friends are always my best supporters and there to chime in with advice on domains, logo designs, color palettes, and whatever questions I throw at them. THANK YOU. Put it all together, and here’s your all new kvh. creative HQ! Okay, you want the honest answer? My original domain was taken – the worst thing ever to happen when you’re rebranding, SO in true fashion, I had to get creative. I didn’t love the word ‘studio’ – since that’s mostly for artists and photographers. I’m not exactly an agency. Legally I can’t add ‘Co.’ as an LLC. I didn’t want to limit myself or get long-winded with other words. And well, this little e-home IS my HQ and it’s only growing! So I went for it – welcome to the HQ, friend! Some things just have a way of working out even when, at first, they seem like road blocks. I am booking a limited number of additional clients for Fall + Winter 2017 so if you’re in need of some brand assistance – be sure to get in touch! P.S. 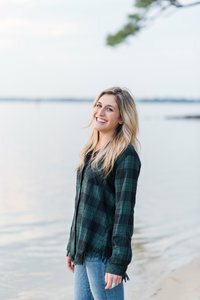 – If you are interested a bit more about me on the personal/blogging side of things – visit kaitlynhiltz.com where I write about faith, wellness, home + travel, style & personal growth. P.P.S – Get sure to get on the list to become an Insider! Sign-ups are throughout the site.